This product is a new USB Wristband Armband Charging Cable, which use compact portable design and is practicable, high-quality. It is especially designed for Fitbit Flex Wireless Band Charger. It is a perfect replacement for the lost or damaged cables. With this product, you have no need to worry about your charging cable losing, and your devices will be always fully charged. Easy operation and convenient to use, support plug and play. Includes: One (1) Charging Cable 100-percent High Quality. With compact portable design This cable is only charging for Fitbit flex wireless band. No reset function. 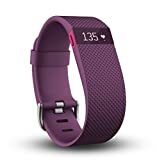 Replacement for lost or damaged cables Compatible Modes: Fitbit Flex Wireless Band Charger Note: This item is only for charging, no other function. Color: Black Total length: about 18.0cm Weight: 0.3 oz/9g For state-specific electronic recycling and disposal information, please click here. Insten Black 1-feet Replacement USB Charging Cable for Fitbit Charge 2 Activity Tracker Bracelet Wristband Product Description 1 x USB Charging Cable compatible with Fitbit Charge 2 High quality replacement USB charging cable compatible with Fitbit Charge 2 heart rate and fitness wristband Clip design fits perfectly to your Fitbit Charge 2 with easy installation Fast and easy charging with a simple plug into any USB port such as your laptop, wall charger and car charger etc. Durable and flexible cable with a longer lasting product lifespan Compact and light-weight, convenient for carry around to power up your Fitbit Charge 2 at home, school, office or on the go Length: 1ft/12inch Color: Black Note: Designed for Fitbit Charge 2 only, not for other models. No reset function. Fitbit Charge 2 is not included. Compatibility: Fitbit Charge 2 All rights reserved. All trade names are registered trademarks of respective manufacturers listed. Product Description 1 X USB Charging Cable compatible with Fitbit Force/Charge High quality replacement charging cable for your Fitbit Force With voltage regulator to protect your Fitbit ROHS, CE and FC certified which guarantees safety Compact and light in weight, easy to carry around Color: Black Cable length: 8 inches Compatibility: Fitbit Charge / Force All rights reserved. All trade names are registered trademarks of respective manufacturers listed. California Proposition 65 WARNING: This product may contain one or more chemicals known to the State of California to cause cancer, birth defects, and/or other reproductive harm. Insten Black 1-feet Replacement USB Charging Cable Cradle Dock Adapter for Fitbit Flex 2 Fitness Wristband Product Description 1 x USB Charging Cable compatible with Fitbit Flex 2 High quality replacement USB charging cable compatible with Fitbit Flex 2 removable tracker This spare charging cradle fits perfectly to your Fitbit Flex 2 with easy installation Fast and easy charging with a simple plug into any USB port such as your laptop, wall charger and car charger etc. Durable and flexible cable with a longer lasting product lifespan Compact and light-weight, convenient for carry around to power up your Fitbit Flex 2 at home, school, office or on the go Length: 1ft/12inch Color: Black Note: Designed for Fitbit Flex 2 only, not for other models. No reset function. Fitbit Flex 2 is not included. Compatibility: Fitbit Flex 2 All rights reserved. All trade names are registered trademarks of respective manufacturers listed.